What’s one of today’s chief recurring mainstream themes in corporate growth planning and investment and the corporate working lifestyle? Interestingly enough, this new trend is quite easy to remember: the MOTIF we’re talking about is the growth in Modern Office Technology Integration Furniture systems. These high-tech office furniture systems are designed to increase cost effectiveness, improve employee morale and productivity, and add advances in technology and customer relations foresight. Ted Heisler, CID/IIDA, principal of Interior Architecture and Design with Ware Malcomb, wrote an incredibly helpful article featured in the November/December 2007 issue of The Leader magazine, which discusses the driving causes behind this climate shift of office technology and lifestyle. What are the driving factors? According to Heisler, “Remote access, virtual networks, video conferencing, teleconferencing, multi-national companies, and a global economy have changed how we work, who we work with, and the technology we use to get the job done.” To cater to these changing cultural work styles, modern office environments and office furniture systems for the next generation are being designed with “free address” workstations, space efficient solutions, collaborative teamwork office areas, and branded environments. We would like to push this concept further and discuss in detail how you can use office design and office furniture systems to integrate technology within your office. Price – What is within budget should be carefully balanced with what is needed, wanted, in good condition, and less depreciable. 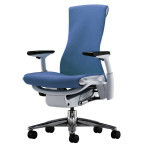 What will the return be for an office furniture system that makes it easier to do work, versus an office furniture system that is more affordable but with less perks and less advantages in design to help employee morale, organization and productivity? 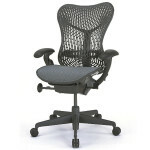 CubeKing is America’s #1 office furniture discounter, selling high quality excellent condition office furniture. Office Furniture Design Aesthetics – Workstations should be chosen to compose a coordinated office environment that impresses employees and customers and fits well with your brand. 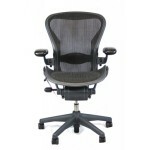 Ergonomics and Comfort – Make sure to allow room to breathe, move through passageways, and fit under your desk. 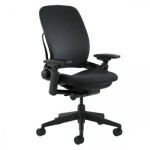 Ergonomics also help reduce stress and encourage worker productivity. Work Style – Especially if your company has multiple office locations with part-time and/or traveling workers, the “free address” workstation solution may make a lot of sense as a practical and cost-effective way to integrate your office with a more mobile lifestyle. On days part-timers don’t come in, fill the space with part-time interns. Space Efficiency – Maximizing the amount of usable space and quantity of workstations should be balanced with maintaining sufficient desk space and quality of the workstations. Designing for flexibility and growth is smart, and can save money in the long term. Conserving space can also be seen as conserving energy and helping the environment. Finding a workstation supplier with a variety of workstation styles and sizes such as CubeKing will enable greater space efficiency. Collaboration – Workstations in pod layouts are a great way to integrate greater collaboration and teamwork through your office furniture system. Read more about office furniture collaboration in our popular blog article, “The 5 C’s of Collaboration in the Office”. 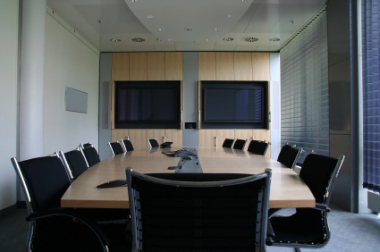 Conference rooms are the ideal place to integrate technology to increase productivity and impress clients. Opportunities for integrating your office furniture with technology abound by finding the right conference room furniture to work with recessed monitors, phones, an overhead projector, or video conferencing capabilities. Sometimes it is a great idea to buy a used conference room table, since conference room tables are generally kept in great condition and so you can save money to invest on the technology to incorporate. CubeKing supplies both new and used conference room tables, so it’s easier for you know all out the solutions available to you. Often overlooked and undervalued, reception areas offer significant opportunities to integrate modern office technology through your furniture systems. Reception areas are also important because they are the first impressions that your customers and guests have of your company. Choose from task chairs or luxury comfort chairs for the guests in the lobby or waiting area, along with smaller tables to put speakers under or digital picture frames on. Freeing up wall space in this area (by conserving space in other areas through the right furniture storage solutions) is a good idea, so you can hang an LCD TV for entertaining the guests. Playing quiet music that matches your company’s brand (like a mall store) from speakers under the small end tables can create an added touch of branded environment that impresses and says you pay attention to detail. Incorporating and planning around electric outlets, along with hiding the wiring behind your incorporated technology may involve hiring a space planning team to assess the orientation of your office furniture. After all, plugging in technological wizardry into your office loses its touch if people see the Wizard of Oz and mess of wires behind it. CubeKing offers a premier space planning service, and has trained experts to move and install your office furniture to a “T”. For more ideas and information on how you can use your office furniture to integrate modern office technology, call us today at 888-399-7025. Office Furniture Manufacturers Are Trimming Staff While Cubeking Grows! We are taking possession of top brand used office furniture and making that furniture available to companies with an eye on their bottom line.